Karber's Blog: Karber DT members spotlight! Hi friends! It's time for the DT members spotlight. Look their wonderful creations. 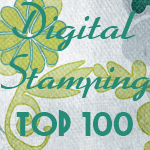 Arabella's sweet card features Kimmie digital stamp. This Karber cutie looks so happy ready to have a great time. 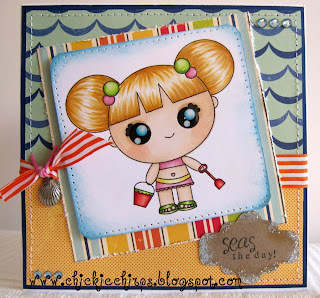 Love the sentiment and the cool embellishments. 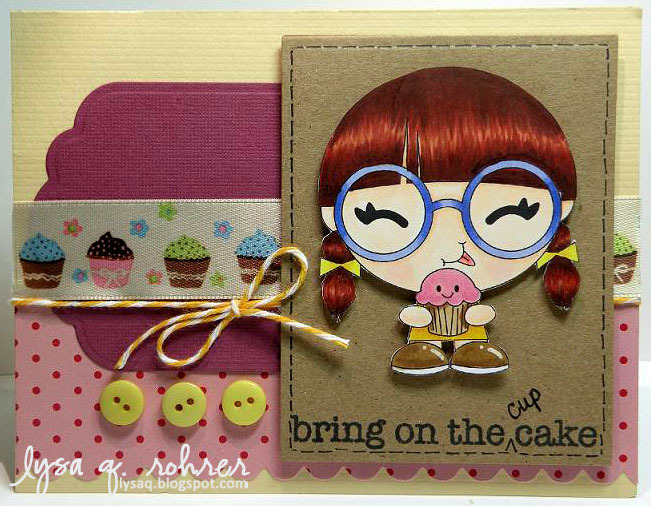 Lysa's lovely card features Cupcake Leslie digital stamp, it seems like Miss Leslie is ready to enjoy a sweet cupcake, the papers and the fun embellishments goes perfect with this digi. "What a good GHOUL you are for sponsoring the Labor of Love Halloween Hop, happening today." I actually have two comments for you.... the first one is "What a good ghoul you are for sponsoring the labor of love blog hop"
and, my second comment is Thank you for sponsoring Susan's Anything goes Birthday Bash blog hop.